Soon, you’ll be able to get your renewable energy kicks on Route 66. Seriously. As part of its “Road to Tomorrow Initiative,” Missouri’s Department of Transportation is partnering with Idaho-based startup Solar Roadways. The plan is to cover an as-yet undetermined amount of pavement at the historic Route 66 Welcome Center in Conway, Mo., with road-ready solar panels that generate electricity. “We expect them to be in place, I’m hoping, by the end of this year, maybe before snow flies,” initiative leader Tom Blair recently told the Kansas City Star. Blair says the state will turn to crowdfunding in hopes of ponying up the money to put this plan in motion. 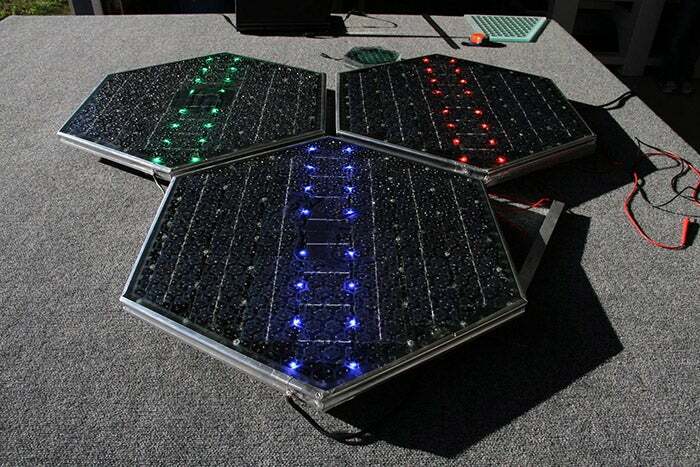 In 2009, the team behind Solar Roadways received a $100,000 grant from the Federal Highway Administration to help build a prototype. The company has since received a pair of $750,000 research grants from the U.S Department of Transportation. On top of that, the group raised more than $2 million with its own crowdfunding campaign on Indiegogo. Covered in tempered safety glass, Solar Roadways’ forthcoming panels do more than collect the sun’s energy. They also can come with LED lighting to effectively replace road lines and signage. Since the panels are modular, Solar Roadways says replacing damaged sections will be less expensive and troublesome than re-paving entire stretches of highway with traditional asphalt. While solar panel-covered roads have been criticized by some, projects from elsewhere around the world have produced some optimistic results.